Asthma can’t be cured, but its symptoms can be controlled. 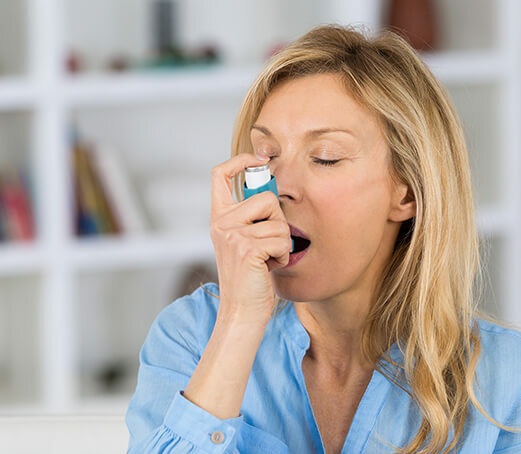 Because asthma often changes over time, it’s important that you work with your doctor to track your signs and symptoms and adjust treatment as needed. If your asthma symptoms get worse. Contact your doctor right away if your medication doesn’t seem to ease your symptoms or if you need to use your quick-relief inhaler more often. Don’t try to solve the problem by taking more medication without consulting your doctor. Overusing asthma medication can cause side effects and may make your asthma worse. CLICK HERE to view or print a helpful educational brochure about Asthma.